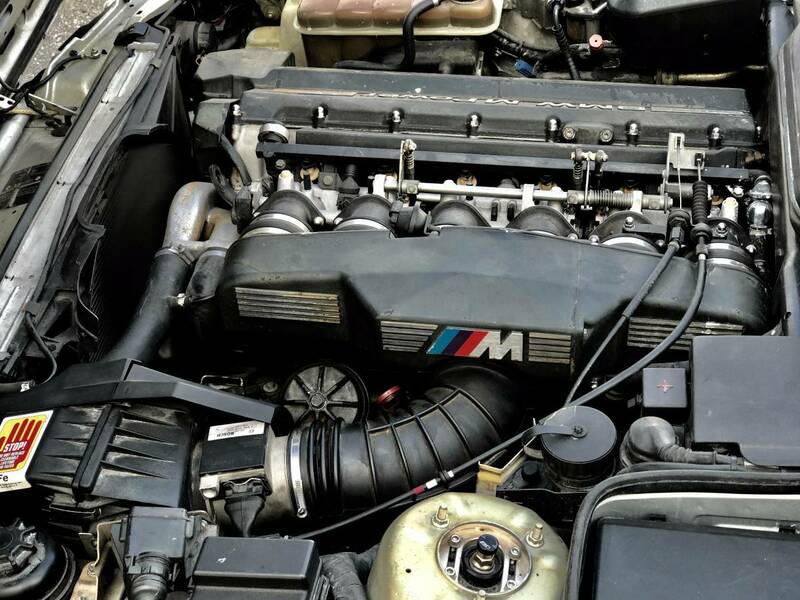 The 1991 E34 M5 is the second generation M5, hand built at BMW M GmbH in Garching just outside Munich. Original MSRP was around $58,000 in 1991, that’s about $105,000 today. You certainly get and got what you paid for. 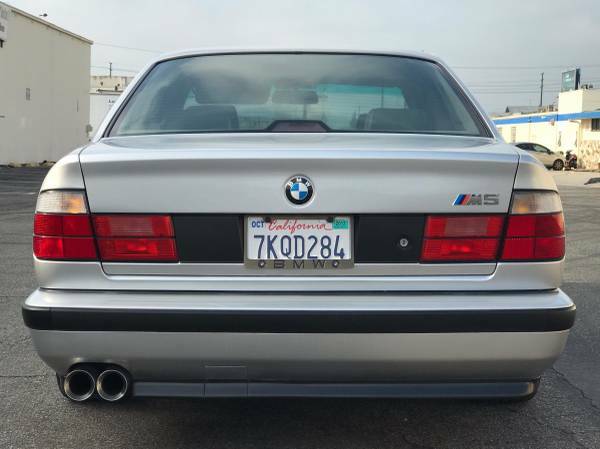 The 6-cylinder tuned engine was a derivation of the M1’s M88 twin-cam inline 6, pushing out about 310hp, for a MotorTrend tested 6.4 second run to 60, and passing the 1/4 mile at 14.9 secs (98.3mph). 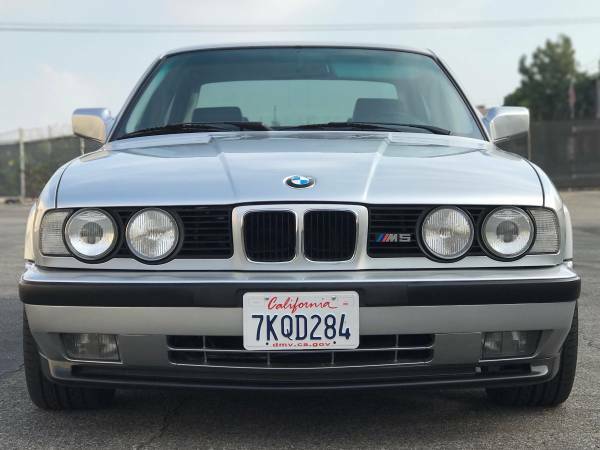 Those numbers put the M5 right in the middle of a slower 911 Carerra 2 and slightly faster 928 S4. 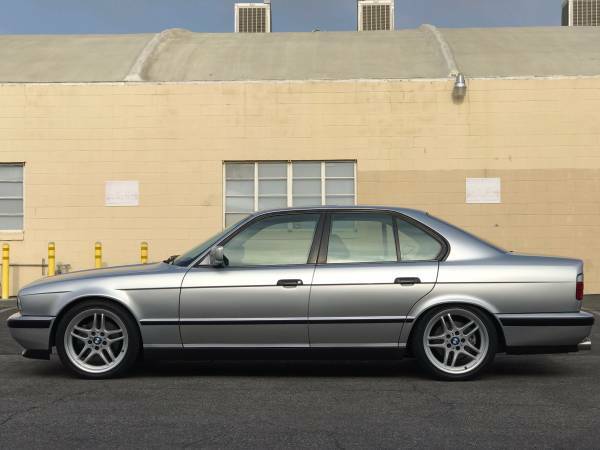 All that means…25 years ago this was no slouch for a 3900lb 4-door sedan. And just like later generations to come, a manual transmission was your only option. 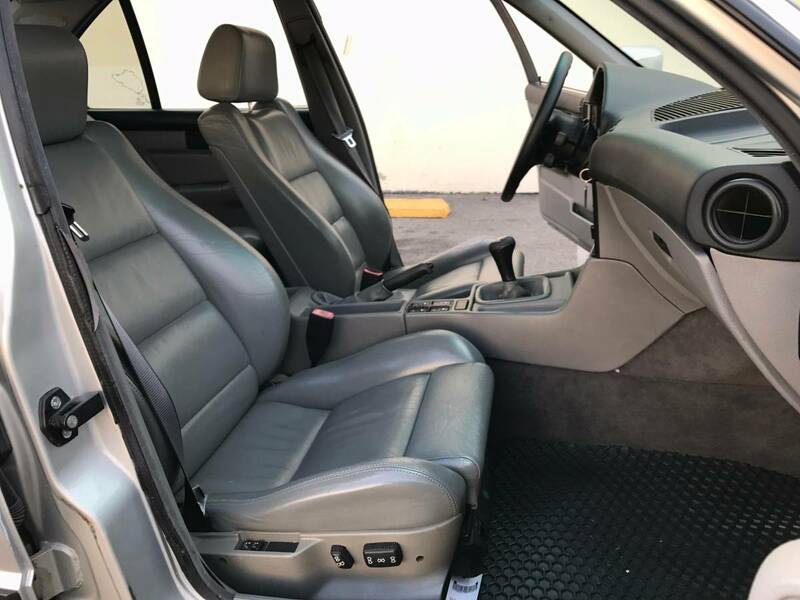 We found this high mileage example for sale in the LA classifieds…the seller reports nearly 4 years of ownership during which time many maintenance items were covered. Everything is reported to work including the A/C. No leaks are reported and services have been performed through Castro Motorsport in North Hollywood. All body panels are original with VIN stickers intact and the vehicle title is reportedly clean. 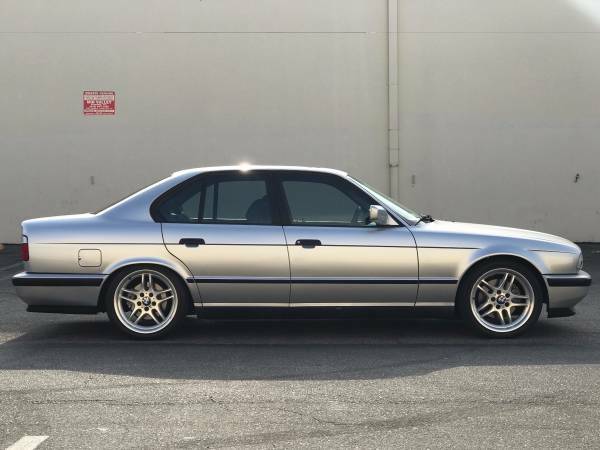 Recent auction prices range from $10,000 – $25,000 for an E34 M5. 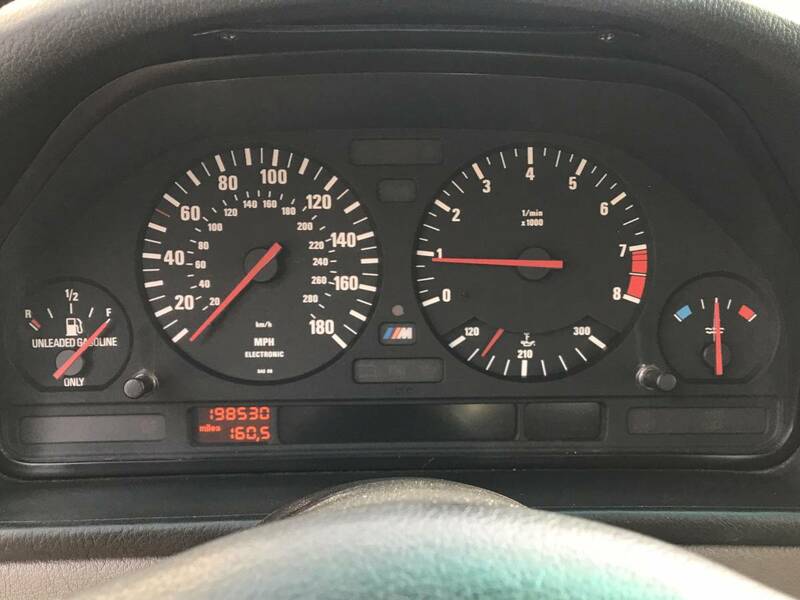 This entry was posted in For Sale, German Classics and tagged BMW, e30, e34, e36, m5.